Clubhouse with changing rooms and bar along with pro shop with club or trolley hire. 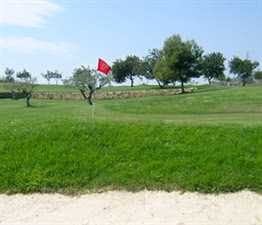 Portal del Roc Vilanova Golf is an 18 hole 'Pitch and Putt' course 1495 meters in length (Par 54). there is a good variety of holes designs and reasonable quality greens which are generally in good conditions. Portal del Roc also has a huge driving range and other practice facilities enabling the golfer to practice long shots, pitching shots, bunker shots and putting shots. All in all it's a good practice facility especially for your short game.